With dainty curves and a lovely, rich chocolate finish, Jofran's Ashland Collection is a classically beautiful group. This group brings together glass table top inserts, curved metal legs, and pine table top framing- offering a sophisticated finishing touch to your living room. 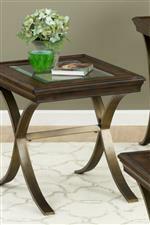 The Ashland End Table by Jofran at Great American Home Store in the Memphis, TN, Southaven, MS area. Product availability may vary. Contact us for the most current availability on this product. With dainty curves and a lovely, rich chocolate finish, this collection is a classically beautiful group. This group brings together glass table top inserts, curved metal legs, and pine table top framing- offering a sophisticated finishing touch to your living room. The Ashland collection is a great option if you are looking for Contemporary furniture in the Memphis, TN, Southaven, MS area. 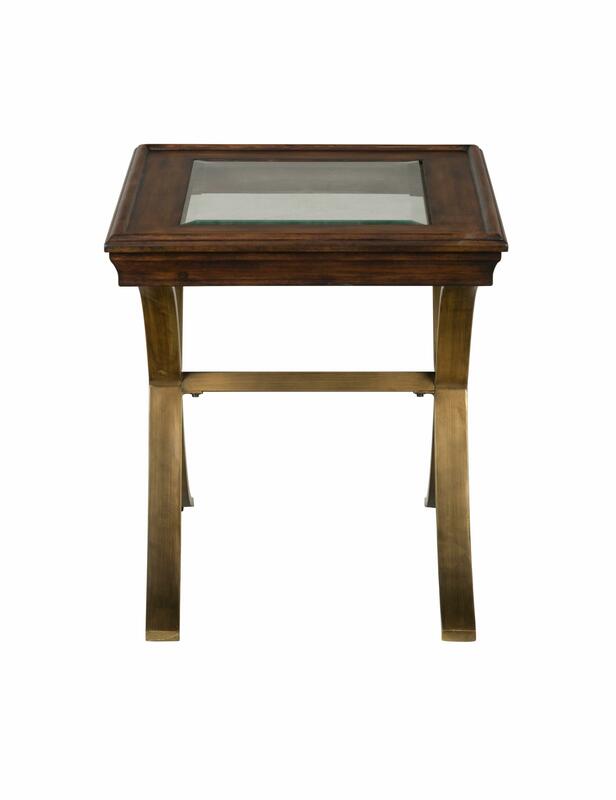 Browse other items in the Ashland collection from Great American Home Store in the Memphis, TN, Southaven, MS area.